Alright, so you just realized that your daughter is a butch. Or you have finally realized that your mom, who you always knew was a lesbian, is a butch. Maybe your co-worker or boss is a butch and you want to give her a little something. Or, perhaps most worrisome, you are newly dating a butch – be you butch, femme, or otherwise… What to buy your butch for the holidays? Well, fear not dear readers. I am here to serve. In that vein, let me give you a list of the best gifts for a butch. Really, of course, it’s just a list of gifts that I think are super rad and worth giving to someone like me. Your butch may hate all of these things. Generalizations are only as useful as humor and light reading (i.e., my goal). Now, given that I am not sponsored, I will not be referring you to any items that anyone has “paid” me to suggest – though I might happily create such a list next year, if any of the lovely people who make these items and items like these want to ask. This post is all me. 1. Bow ties. Yes, the proverbial tie might be lame for your father (Right, Dad? ), but butches (at least my kind of butches) love ties – bow ties specifically. The crazier the pattern, the better. Something I wouldn’t have picked out for myself. Something that reflects you, so that when I wear it, I will think of you. Maybe your butch doesn’t know how to tie a bow tie? Never fear, send her this link (http://www.youtube.com/watch?v=OoUre0ugkmI), tell her how hot you think she’ll look, and give her a cool bow tie. She will be motivated to learn how to tie it. My goodness! This is a real knife ($1600). 2. Multi-tool. 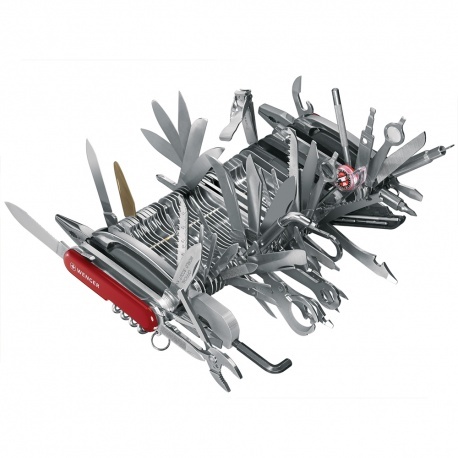 A fancy Leatherman or Swiss Army one is great, but you can also do any multi-tool you find in any bin at any hardware store or market. Because, let’s face it, what butch doesn’t want/need/have to have a pliers, pocket knife, and awl in her pocket/bag/car/desk at all times? 3. Alcohol. I’m going to say craft beer or scotch/whiskey. (I realize it’s a stretch). Minis are cool. If you do minis, get some weird stuff your butch may not have tried, or a full-size sampler of Belgian beers. There is always a Beers of the World box this time of year, and many of the butches I know would appreciate such a box. 4. Craft Beer Tour. I love experience gifts, as long as the giver comes with me. Send your butch on a craft beer tour. San Diego, Portland, San Francisco, Denver and other brew cities will have lots of these to choose from. Substitute historic homes or flower gardens if that’s better for your butch. It’s about the experience. 5. Anything from REI. For my non-US readers, REI is an outdoor adventure outfitter company and pretty much everything they have there is rad. Carabiners, D-rings, knifes, multi-tools, biking/kayaking/spelunking/climbing stuff, compasses, cool flashlights, solar-powered chargers for all your electronics. I mean, the list goes on and on. Any trip to REI will result in many lesbian sightings, even for non-lesbian flooded cities. I find things there each trip that I suddenly cannot live without, even though I never knew I needed them! 6. Video Games. Whatever her gaming system is (PS3/4, Wii U, iPad, etc. ), take a look at her games and get her the newest one that is like those other ones she has. If she is into Call of Duty, she might not like Ratchet and Clank, for example. (It’s like the difference between a violent shooting game and a Mario Bros. game). Any of the people at a good gaming store (GameStop, Best Buy) will be able to make suggestions based on what your butch already owns and plays. 7. Lingerie. If you happen to be reading this as a femme in love with/married to/or dating a butch, consider giving your butch a lovely box of unmentionables that you will wear. I promise, your butch will think of this as a very special gift – even though you will be the one wearing it. Or get her lingerie for herself if she likes lacey things. 8. Kid Stuff. Kids take note, if you are of the age that you might need a ride to pick out a gift for your mom, think about making her something. Who doesn’t love a handcrafted gift from the kiddos? I, for one, absolutely cherish the painted cards, ironed crafts, and even the pottery gifts my angels have made for me. If you are old enough that you can drive to buy a gift yourself (but don’t want to make anything), think about getting your mum a gift card. If you know that your butch mom likes movies, music, or a particular store, you can get her a gift card for said store. No problem with that. Personally, I prefer that you struggle to choose something for me that you think I will like. But lots of people, butches included, love a gift card. If your mom loves going to Home Depot, then that might be a great gift card for her. My new favorite. His shirts are so rad. 9. Her Favorite Dress Shirt. Parents, this is a great one for you. Think about getting your butch daughter her favorite designer shirt. 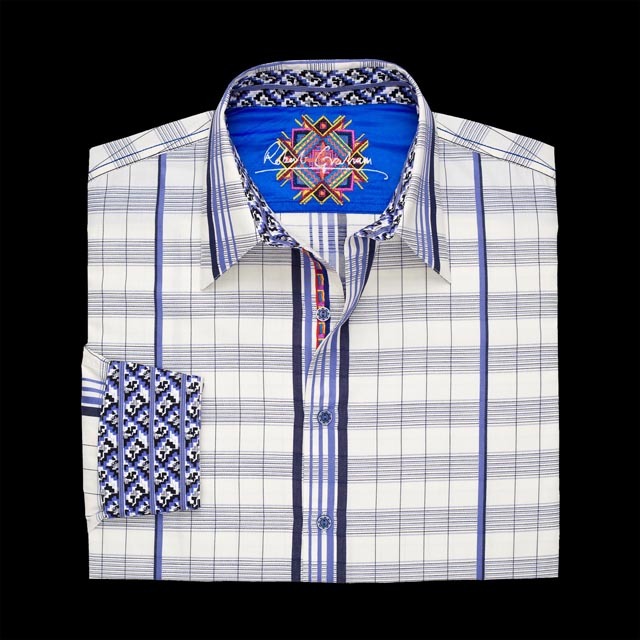 Maybe it’s a little out of her price range (like my new favorite, Robert Graham), or maybe you found it on sale. Whatever the situation, one of the coolest things my mom and dad have given me in the past few years is dress shirts from my favorite designers. This falls into the category of things I might not have bought myself, and makes me feel very special. a) They paid attention to what shirts I like, and b) They took the time to go buy me something that they know I will wear and will make me feel great. So there you have it, 9 ideas for gifts for the butch in your this holiday season. There are gobs of others, of course. Books, movies, food, tickets to a musical, concert, or ballet, candles, plants, tools, crochet kits. You get the idea! Those of you who love a butch (mom, partner, friend, co-worker), It’s your turn to be butch. It’s very butch to give her a gift that shows you’ve been paying attention to what she likes and enjoys. Be Butch.